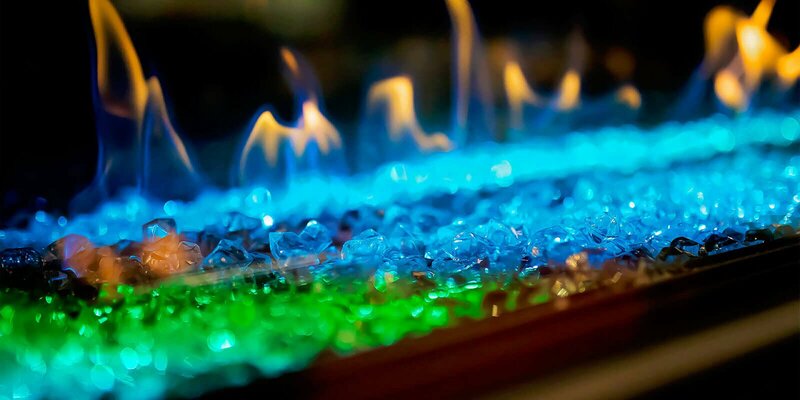 Customize with subtle accent uplighting to elegantly enhance the flame, or go for the multi-colored LED uplighting to electrify the room! Use a fan kit to control the distribution of heated air, or redirect heat away from the wall above your fireplace to make room for your favorite artwork. 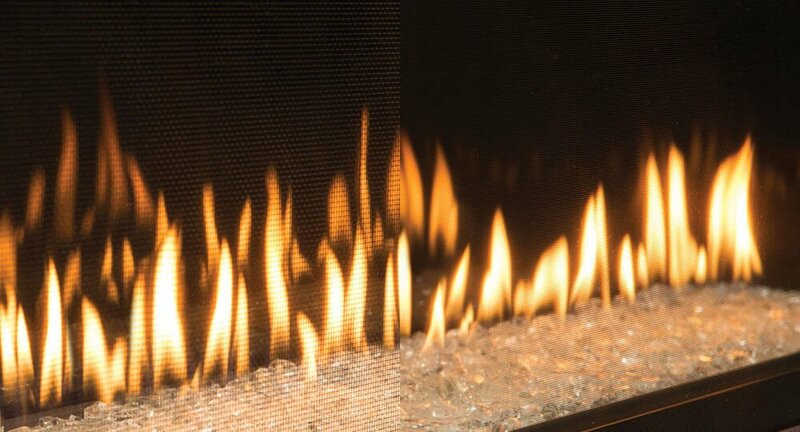 It’s all about you – what does your perfect fireplace look like? 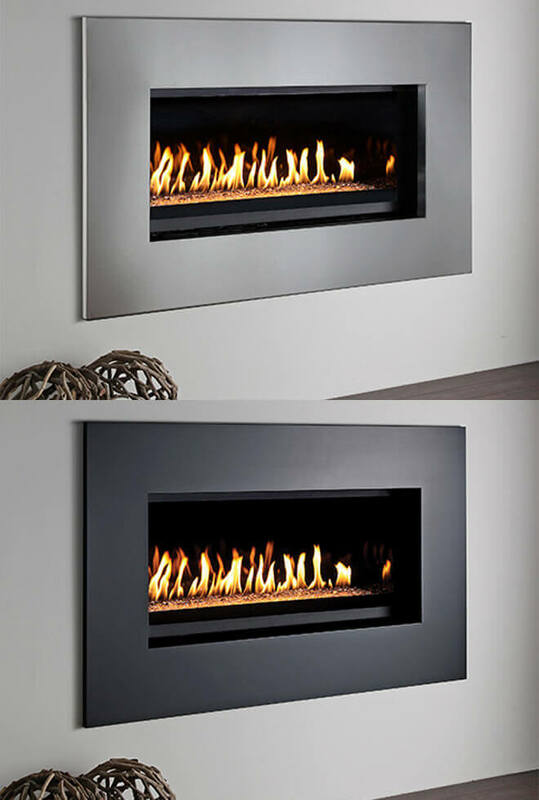 No matter your personal wish list of features, you will find something to compliment the fireplace of your dreams. Please refer to specific fireplace models for media compatibility. You can find this information in the product brochure or owners manual, or contact your local authorized dealer. 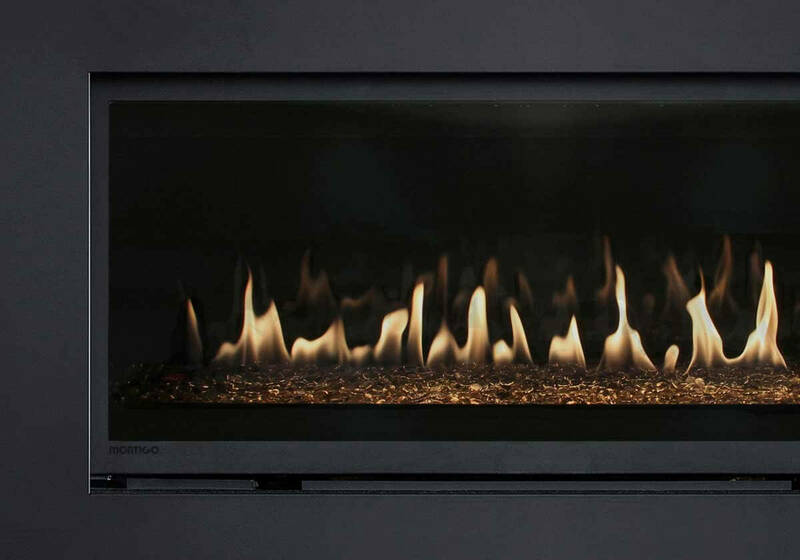 Talk about convenience – the perfect flame at the touch of a button! Now you can enjoy the ambiance of a cozy fire without sacrificing the comfort of your seat. 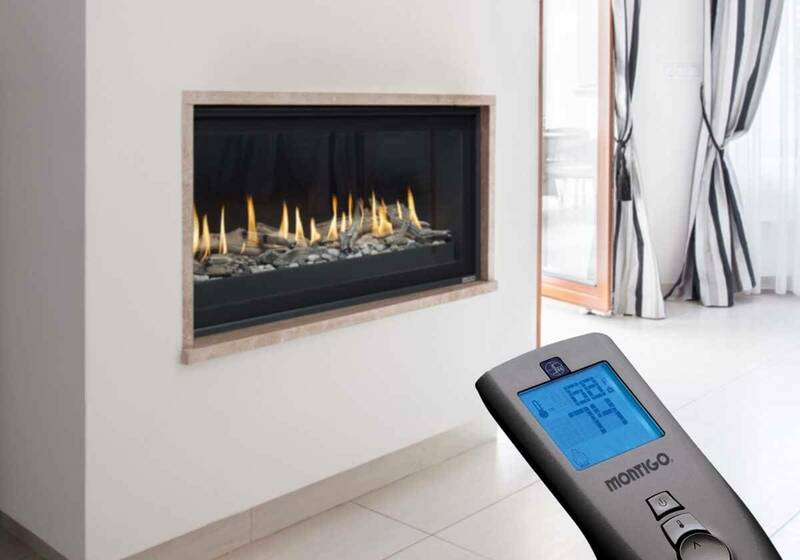 From simple on/off remotes, to fully functional controls, Montigo has a selection of remotes to compliment your new gas fireplace. Please refer to specific fireplace models for compatibility. You can find this information in the product brochure or owners manual, or contact your local authorized dealer. 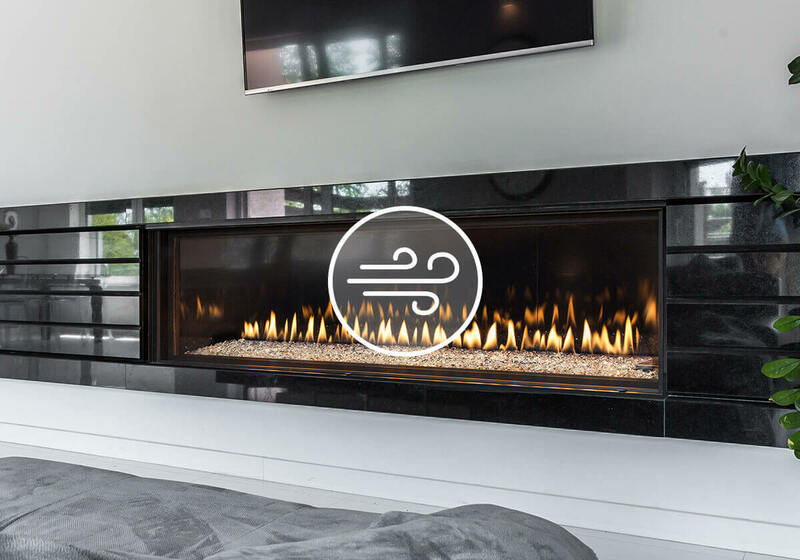 Simple and bold, classic and contemporary – Turn your gas fireplace into a striking focal point with a dramatic surround. Available in stainless steel or black satin finish, for the H Series (excluding H36), Inserts, L Series, P & PL Series. 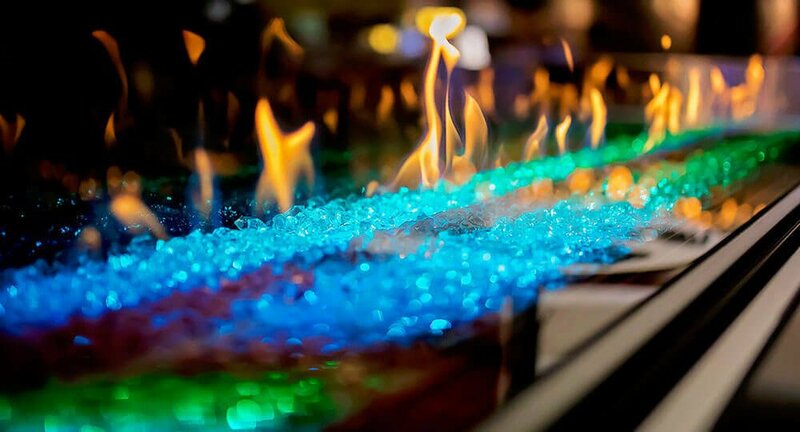 Long lasting halogen lights illuminate the media bed, creating a bright base to enhance a ribbon of fire. Image shown without safety screen for clarity. Keep your fireplace the center of attention, even when its not lit. Our LED uplighting kits are capable of reaching 64 million colors through the easy to use touchscreen remote. InvisiMesh uses a fine yet strong steel mesh to create a screen that has a near threadlike appearance. Creating a viewing area that provides excellent safety and protection while not obstructing your view of the flames. Standard screen shown on left, InvisiMesh shown on right. Distribute heat where you need it most. Elegance & heat, exactly where you want it. The Montigo Cool Wall Advantage diverts heat away from the wall, keeping your TV or artwork safe. 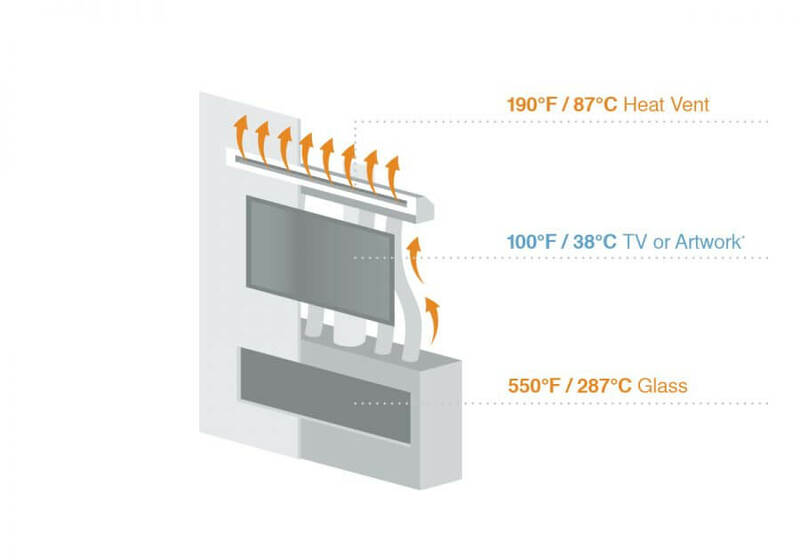 Heat is diverted through the Cool Wall Advantage™, safely bypassing the space above the fireplace. Wall temperature is cool, creating an area safer for mounting a TV, or hanging artwork. Reduces glass temperature, which creates a safe viewing area when combined with the provided screen.